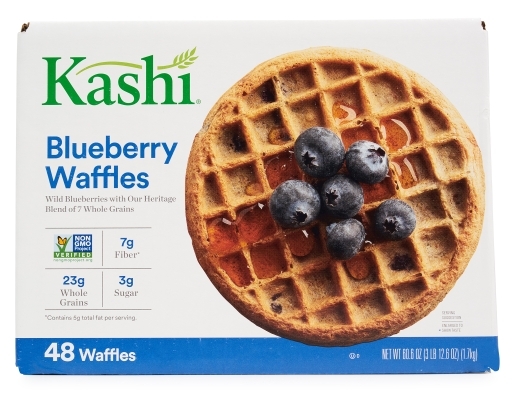 Tangy blueberries are baked right into these wholesome waffles — a delicious way to greet the day. 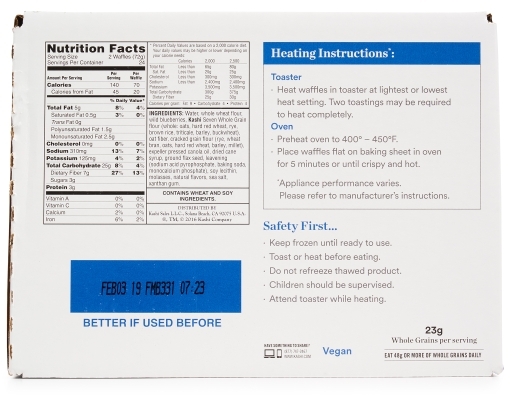 Everyone loves the goodness of warm waffles – and now you can love their nutrition, too! 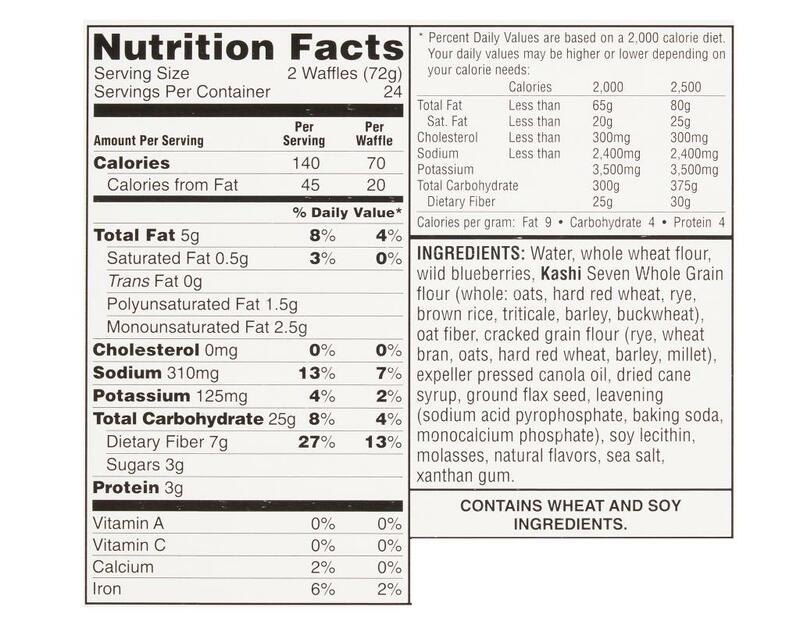 Kashi Waffles are made with an heritage blend of Seven Whole Grains. 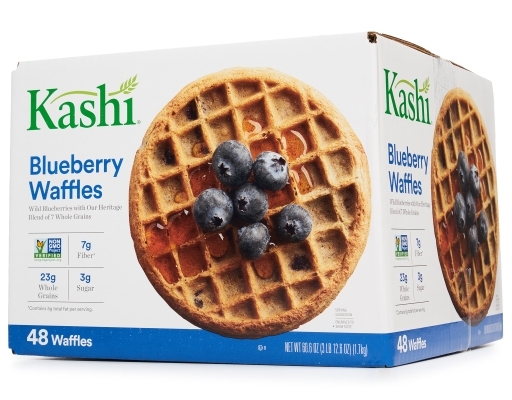 Kashi mixes its signature blend into a batter, adds really, juicy blueberries, then pours into real waffle irons for a waffle that is light and fluffy on the inside, and toasted to a golden brown crisp on the outside. 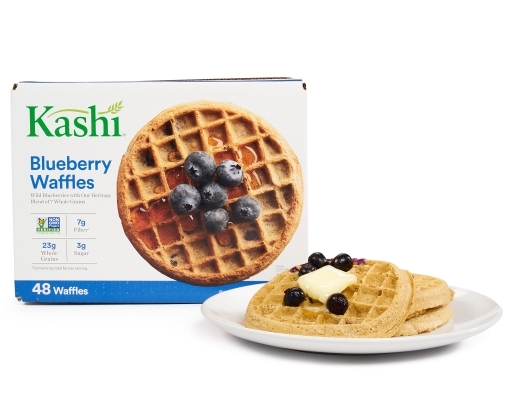 Plus real berries! 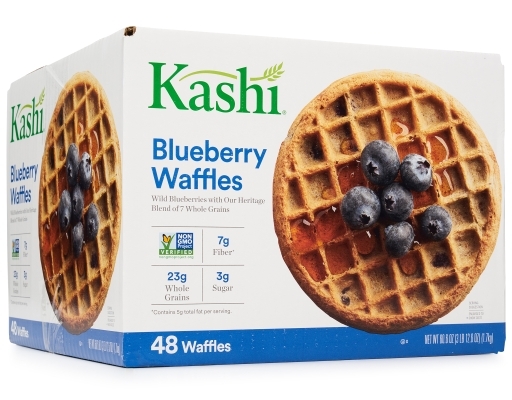 Water, Whole Wheat Flour, Wild Blueberries, Kashi Seven Whole Grain Flour (Whole: Oats, Hard Red Wheat, Rye, Brown Rice, Triticale, Barley, Buckwheat), Oat Fiber, Cracked Grain Flour (Rye, Wheat Bran, Oats, Hard Red Wheat, Barley, Millet), Expeller Pressed Canola Oil, Dried Cane Syrup, Ground Flax Seed, Leavening (Sodium Acid Pyrophosphate, Baking Soda, Monocalcium Phosphate), Soy Lecithin, Molasses, Natural Flavors, Sea Salt, Xanthan Gum.